Guess everyone’s talking about New Orleans today. So in honor of the Saints in the Super Bowl, and Mardi Gras, let’s take a brief look at two albums with virtually the same title: Fire On The Bayou by the Meters, and Fiyo On The Bayou, by the Neville Brothers. The Meters are, of course, one of the greatest bands ever. That they aren’t in the Rock and Roll Hall of Fame is one of the true injustices in this world, and proof positive that the people running that Hall are trend-chasing lackeys who are more interested in selling tickets to tourists rather than honoring and preserving the history of great music. Formed in 1965, the original quartet included drummer Zigaboo Modeliste, guitarist Leo Nocentelli, bassist George Porter Jr. and keyboardist extraordinaire Art Neville. They had a few R&B instrumental hits including “Cissy Strut” and “Sophisticated Cissy,” and by 1972 they were the most sought-after players in New Orleans. Becoming the house band for Allen Toussaint’s Sansu Records, they played on hits from Dr. John (“Right Place, Wrong Time”), Labelle (“Lady Marmalade”), Ernie K-Doe and many others. In 1974 Paul McCartney asked the Meters to play on his album Venus and Mars, then they played the album’s release party aboard the Queen Mary. Mick Jagger was blown away by the Meters, so he invited them to tour with the Stones that year. 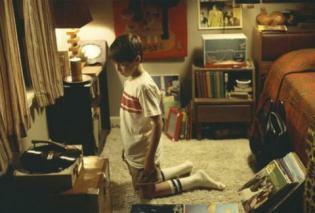 That leads to 1975, and the album Fire On The Bayou. Produced by Allen Toussaint, this classic unveiled the now classic title cut as well as a new, fifth band member: little Neville brother Cyril, on vocals and percussion. “Fire” showcases what the Meters were all about: some really tasty riffs on top of a spicy, funky little rhythm. “Talkin’ About New Orleans” and the extended groove “Middle Of The Road” are more of the same. But there are two cuts that stand out above the rest: “Mardi Gras Mambo” is actually a cover, the original was cut in 1953 as a country song but the next year a New Orleans band, the Hawketts, made it their own. The Hawketts were led by then-17-year-old Art Neville, and the song became a Mardi Gras standard. The Meters’ version substituted Neville’s keyboards for the tasty sax on the Hawketts’ record, but it rocks anyway. And then there’s “They All Ask’d For You,” a tune with some local catchphrases and an insanely catchy melody. The Meters claimed writing credit on it, but there’s evidence at least some part of this song has been handed down among New Orleans musicians over the years but no matter – I remember going to New Orleans for Mardi Gras in 1976 or so and it was everywhere. It’s Time To Enshrine The Meters/Neville Brothers! If there is anyone who deserves to be in the Rock and Roll Hall of Fame, it’s Art Neville. He should have been one of the first guys to get in there. Art is the cornerstone of two of the greatest bands of all time- both of which should have been in the Rock Hall a long time ago. Of course, Art Neville is the keyboardist and singer of The Meters (sometimes known as the Funky Meters), simply the finest bunch of musicians to ever come out of New Orleans. The Meters – guitarist Leo Nocentelli, drummer Joseph “Zigaboo” Modeliste, bass player George Porter Jr. and Art Neville – collaborated with the great Allen Toussaint on landmark recordings. They appear on “Right Place, Wrong Time” by Dr. John, “Lady Marmalade” by Labelle, “Listen To What the Man Said” by Paul McCartney and Wings, and countless other hits. 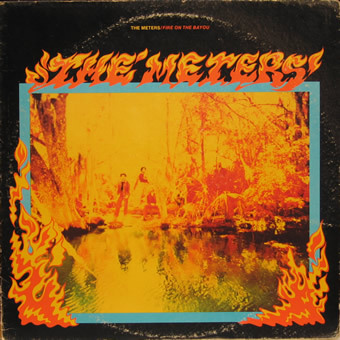 The Meters also made their own records, and they are great. They worked as a mostly instrumental unit in the late 1960s and early 1970s, cranking out such funky standards as “Look-Ka Py Py” and “Cissy Strut.” But in 1972 they signed with Warner Bros./Reprise and added Art’s little brother Cyril on vocals and bongos, and kicked off a creative period that included the classic albums Rejuvenation (1974) and Fire On The Bayou (1975). “Hey Pocky Way,” the monster track from Rejuvenation, kicks off with an Art Neville piano lick that virtually defines New Orleans music. 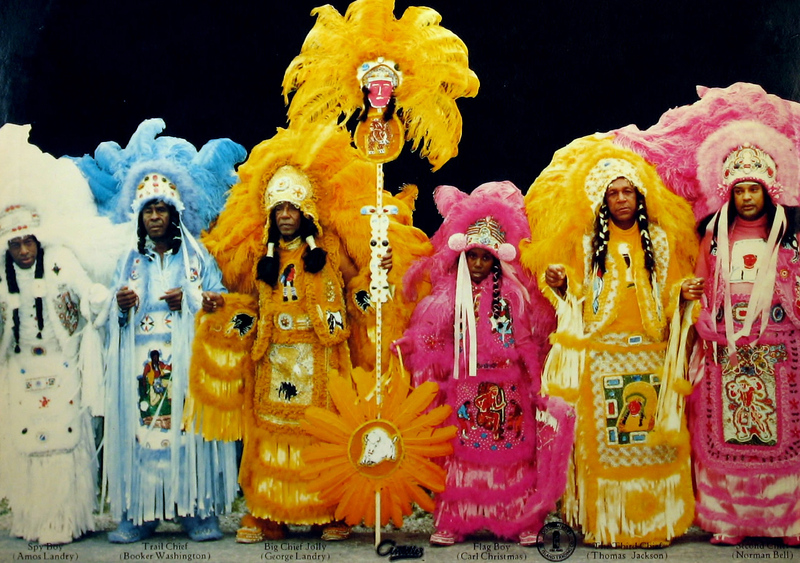 In 1976 George “Big Chief Jolly” Landry began recording an album of New Orleans Mardi Gras music with his Wild Tchoupitoulas “Indians” (a social group known for its elaborate costumes during Mardi Gras). 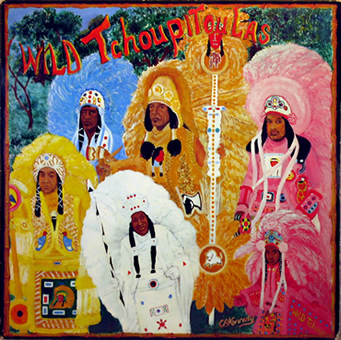 The one trouble was, the Tchoupitoulas weren’t musicians. But Landry just happened to have a few nephews who were – they were all named Neville. So the Meters served as the Tchoupitoulas rhythm section and for fun they invited brother Aaron Neville to sit in. They covered “Hey Pocky Way” again (the Nevilles would also do it later). Day 20 – Our Christmas journey today brings us to the great state of Louisiana – or more precisely, New Orleans. The Crescent City is home to some of the greatest American musicians of past and modern eras, and being the nice Catholic boys and girls most of ’em are, they really know how to put on a good party at Christmas. We also veer slightly into Cajun country for a couple of our selections but it’s all Louisiana, it’s all good. Lassez les bon temps roulet.